19thc Mauchline Tartan Painted Snuff Box . Scottish. C1820-40. 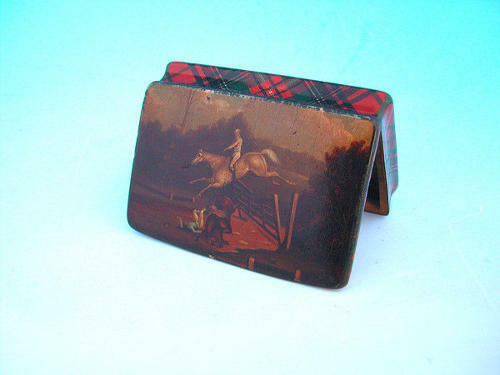 A superb 19thc Tartan Mauchline Snuff Box, hand painted with a Country Scene and stamped on the inside of the lid Smith & Son, who were early makers of this type of ware in Scotland, the box is made from Sycamore, also known as plane in Scotland.